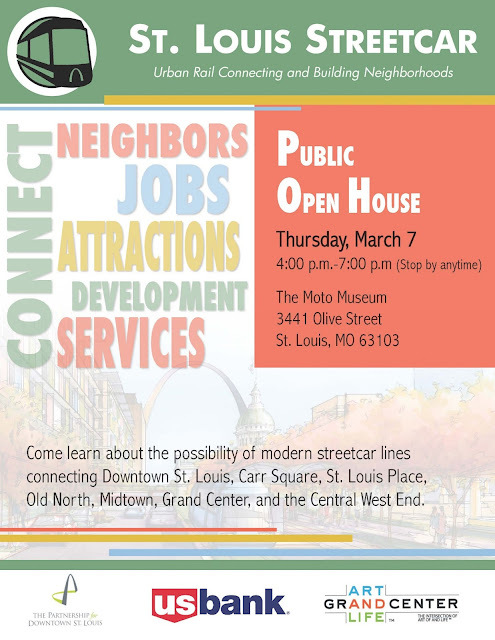 Lofts In The 'Lou: The Return of the Street Car! The Return of the Street Car! One of my pet peeves about St Louis is the tendency for St. Louisan's to complain about being in St Louis, but I'm going to do it for a second. 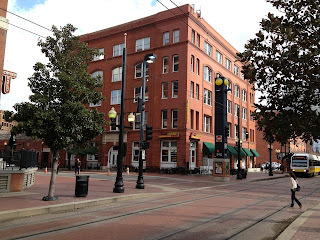 Yesterday I was driving through the former Gaslight Square area and I was thinking what I normally think: "Why didn't St. Louis do a better job protecting its assets?". Lots of people say the same thing about the Streetcars in St Louis. Streetcars seem like the thing to do for an urban center. Having a streetcar line for areas close to downtown would be nice way for people to get around. Independent studies support that. My recent visits to Dallas (above) and New Orleans both made excellent use of the street car within their urban areas. People used them. They're simple and clean, quiet and dependable. In high density areas, they are the ideal way to help people get around the relatively small distances with ease, which allows people to stay in the city, and not have to get in a car. Other than Joe Edwards plan to connect the Loop with the History Museum, the Partnership for Downtown St Louis is doing their own research too. Their event is coming up this Thursday Afternoon & Evening at the Moto Museum in Midtown. I'm not sure I can make it, but would love to go and support this. Having been active witness in the re-birth of Downtown, what I've learned is that we can not keep looking at St Louis and complain about the mistakes that have been made without doing our best in this generation to rebuild what we can and should. When we started selling real estate downtown, we'd usually walk around with buyer's almost all the time. All the development has done something wonderful for the region, but its spread out the area that we know as downtown (not as far as the press sometimes spreads it).The street cars will probably never be what they once were in St Louis, but having a few around where they would really make the most difference could be huge for the people that live, work and visit the downtown area and areas close by.